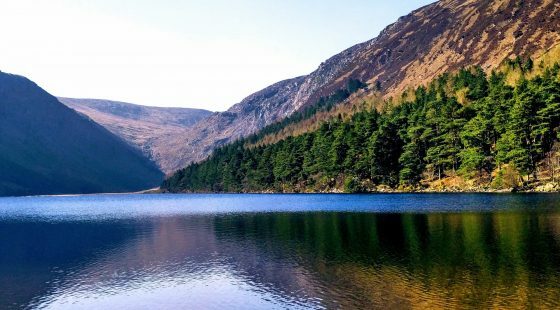 A trip to Dublin is definitely worth it because you will find art, history, elevated food and friendly people in abundance here. There are wonderful hotels, award-winning restaurants and gorgeous museums, you will feel that maybe two days are not enough to visit this beautiful city. But whatever you do, make sure to pack your sweaters, long pants and waterproof walking shoes because spending two days visiting the city can be as wet as exciting. First, settle into the O’Callaghan Stephen’s Green Hotel to be sure to have the perfect stay. Today you start to discover this amazing city, but nothing good will happen to you with an empty stomach. Try the classic Irish breakfast, a mix of grilled meats, roasted tomato and a pile of toast. Thanks to this you will be full of energy and exploring the city will not be a problem. You are ready to go for a walk around the city centre (don’t forget your umbrella) and stop by Merrion Square to see Oscar Wilde’s childhood home. From there, stroll to Trinity College, a historical institution founded in 1592 that still functions as a working school. Once you’re on the campus don’t miss the famous Book of Kells at the library, see the Zoological Museum and the Science Gallery of Dublin. 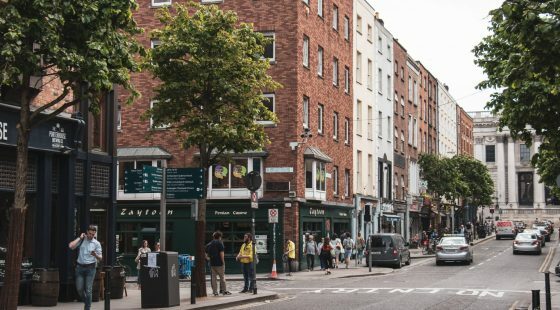 For lunch try to go to the Temple Bar neighbourhood, a path will take you to the Irish Houses of Parliament, also known as the Bank of Ireland. Then stop by Gallagher’s Boxty House, owned by potato expert Pádraic Óg Gallagher. 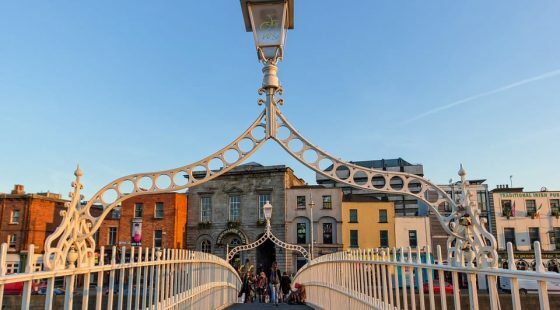 A little walk to the Ha’penney Bridge in order to digest will be nice, and after that, you could go to Dublin Castle an ancient Viking fortress which is now a complex that features Irish government offices. At this point we assume that you will be tired, so going back to the Stephen’s Green hotel should be your next move. On your way back stop by O’Donoghue’s Pub, a classic Irish bar where locals and tourist can drink together. This “popular” atmosphere is the perfect contrast to your dinner destination: Restaurant Patrick Guilbaud the only 2 Michelin star restaurant in Ireland. After this fantastic dinner, you will enjoy a beautiful night in our hotel. After last night’s amazing meal, it will be difficult for you to eat something heavy. We recommend you Bafles a simple but delicious place located just a 10-minute walk from the hotel. Once finished, you can head to the National Museum of Ireland and the National Gallery of Ireland, where you will see wonderful collections of Irish Art. That’s one of the advantages of staying in a hotel near Grafton Street. 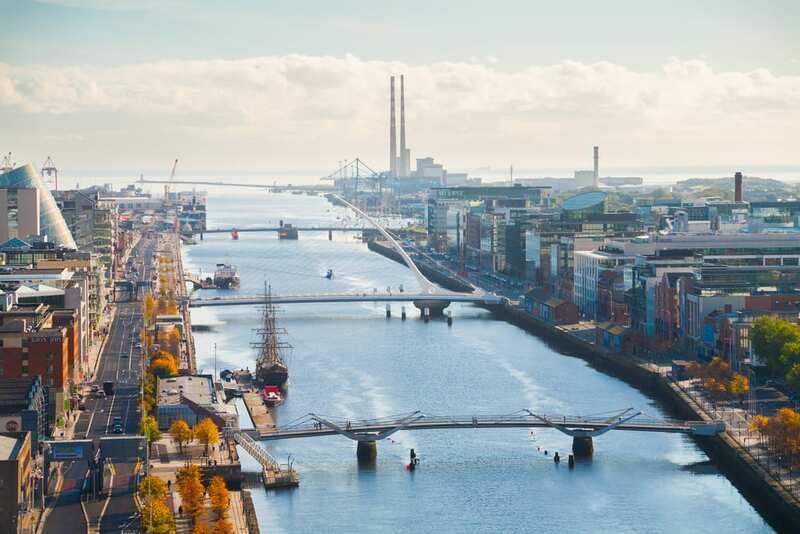 Your next stop, the Guinness Storehouse is easy to reach by car when you are at the gallery. You will learn the entire history and process of the iconic stout; a visit here is necessary even if there are a lot of tourists. If you love theatre, you have to go to the Bord Gáis Energy Theatre on Grand Canal Square. This wonderful venue hosts top theatre and musical acts such as Billy Eliott, Ghost: The Musical, Swan Lake or Gilbert O’Sullivan. The Brasserie is the perfect restaurant to get dinner before a show, it’s just minutes away from the theatre and the food is excellent.